Summer time. It’s so lovely. Lovely – and hot. 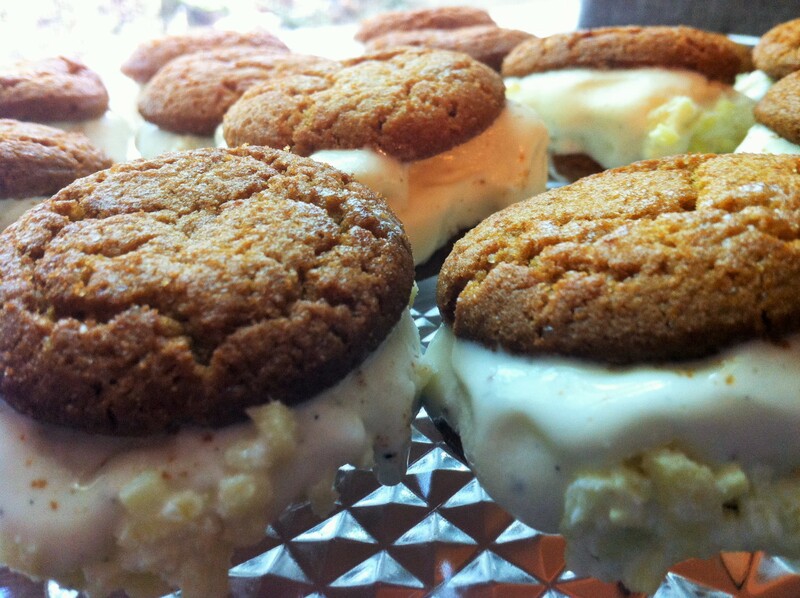 I was thinking of quick bites for tomorrow’s gathering with my Colorado family, and the inspiration for homemade ice cream sandwiches popped into my head. Well, not quite homemade. I love Mi Del brand gluten free gingersnap cookies, and if you’ve ever had them, I’ll bet you do too. And everybody has their favorite ice cream – be it old fashioned dairy based, coconut, hemp, etc! I softened my French vanilla ice cream just slightly, then kneaded in some very finely chopped fresh ginger, and pressed these awesome little delights together in no time. Having a scattering of minced ginger still on the cutting board, I decided to dip one side of the sandwiches into it, then freeze them all on a baking sheet. Candied ginger would also be fun, wouldn’t it? 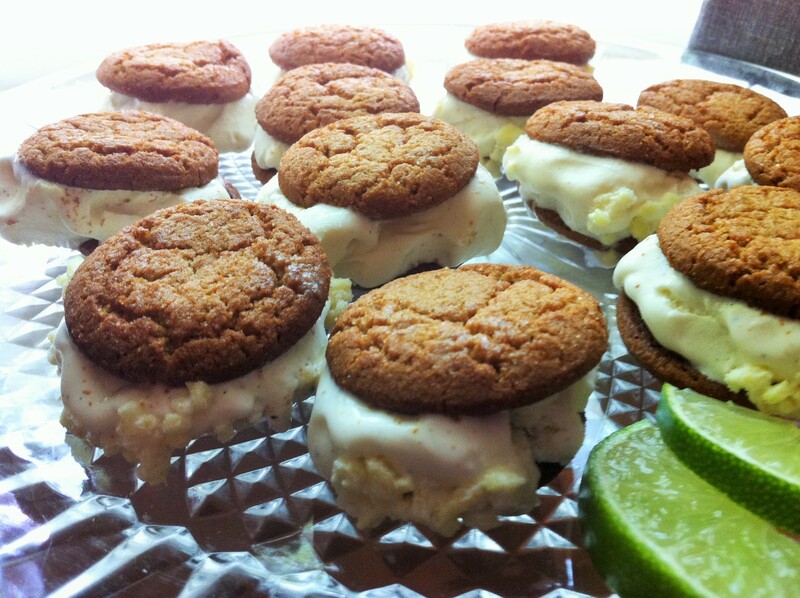 The amazing thing about these ice cream sandwiches is, after a short time in the freezer, the ginger snaps let just a little of that spicy sweet ginger vanilla ice cream sink in, so you have a crunchiness on the outside, softened deliciousness on the inside. Luckily there were a couple I deemed “extra” for this little photo shoot. You know what I found out? 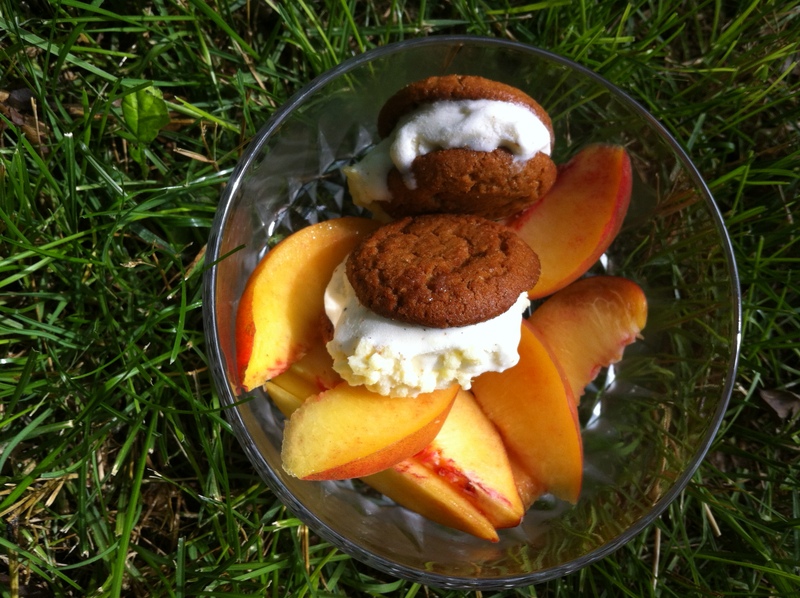 No matter where I set this irresistible dish – with the ice cream sandwiches and their peachy companions – they looked every bit as good as the last place. Maybe it’s time to try them! 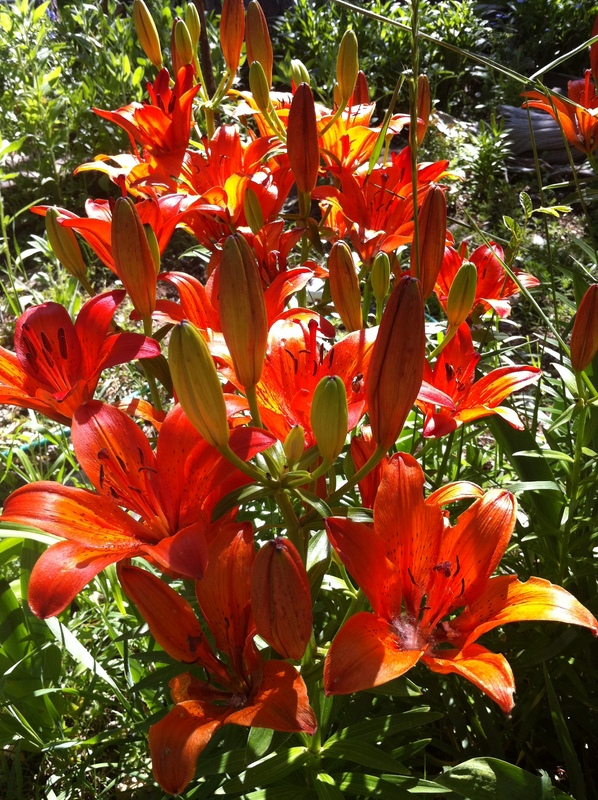 And may summer time find you – in many moments of joy. 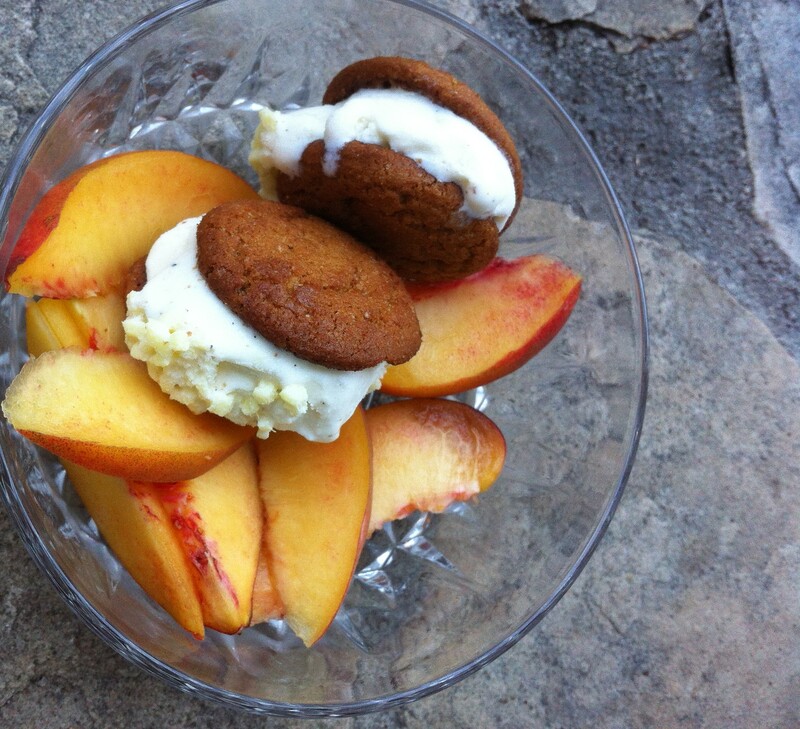 I remember another dessert recipe I put together a year or so ago – with ginger, and peaches – don’t you think they are a fine combination? Anyway, maybe you’d also like to try my coconut rice, peach and ginger dessert spring rolls !